Take a walk around any food court and watch carefully . Most of the people will be literally devouring their food like it is a race! Now compare that with a group of French women sitting in a chic Parisian cafe. They eat small portions slowly and with care, savoring each and every mouthful. The result? French women have a lot less weight issues than their Australian and American counterparts. Sitting in front of the TV eating our meals. We no longer sit around a table and talk over a meal. Instead we sit in front of a TV and mindlessly eat. We lose touch with our inner voice. Huge serves at fast turnover restaurants. Our obsession with social media. One of my weight loss clients, a lovely lady from Langwarrin struggled constantly with her weight. She exercised regularly and had a good understanding of nutritious food but could never lose weight. Her main complaint? She never felt full and always craved more and more food. One day I was walking past a fast turnover restaurant in Langwarrin and saw her sitting there. I stood back and watched her carefully. She was focused intently on her iPad and was shovelling food into her mouth at an incredible rate. That was all I needed to see. Through a carefully structured program I taught my client how to really “think” about her actions and identify the different types of mindless eating triggers. The following are a couple of strategies I sometimes teach my clients during their weight loss program: Of course each person is different and needs to be assessed individually – but the following will help identify some of the attributes of mindful eating. 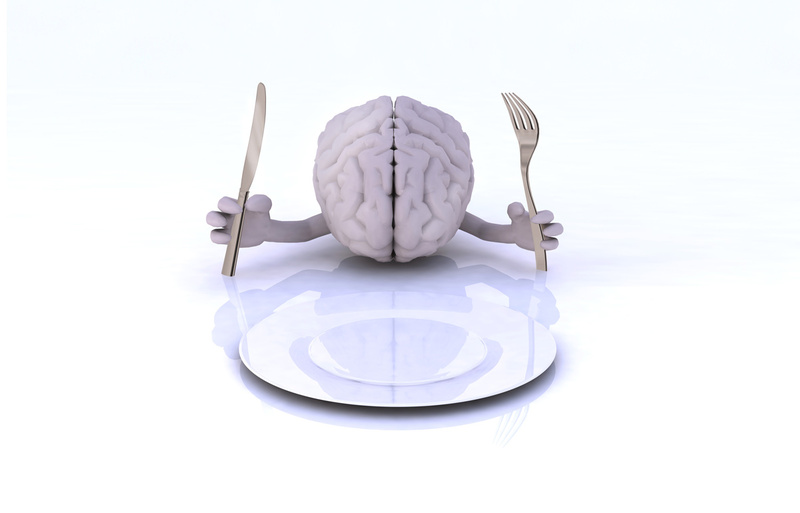 Awareness Eating: Are you really hungry when you are eating? Try this simple exercise that might sound silly but it works for some. Before you eat, say out loud to yourself “Am I really hungry?” If you are not hungry and still insist on eating then you can train your brain to identify this state by saying “I am not really hungry – but I am going to eat this anyway”. If you are truly hungry say out loud: “I am hungry and need this food to fuel my body”. Effectively you are training your brain through visual – feeling – and audio senses to identify the different states of hunger. Something we easily lose in current day living, because we rarely truly experience real hunger – so our brains become more sensitive in thinking we are hungry when in reality we are not. Portion Control: This method has been discussed widely and many people understand the concept – use smaller portions – less calories/Kilojules in = less weight gained. Simple tricks being used by many are to throw away your large plates and substitute them with smaller plates. The simple rule is you can only eat what is on your plate – which is considerably less than using a large dinner plate. At the end of each serving the Awareness Eating tactic above should be used. You can have a second portion but you have to wait five minutes – and you have to affirm using the tactic above. Of course the above may not apply to some people. Each weight loss condition – and the psychological triggers that go with them are as individual as people themselves. The incredible thing about mindless eating – like my weight loss client from Langwarrin – most people never know they are doing it. It is an invisible autonomous psychological habit. We must always remember that there are incredible health benefits to be gained from losing weight. For example, my Langwarrin client lost significant weight withing six weeks and as a side bonus her Irritable Bowel Syndrome was alleviated. To this day she still maintains a healthy weight range using the weight loss tool kit we designed for her. One of the most satisfying parts of my job is coaching and seeing long term weight loss success. Personally experiencing the difference in confidence, improved body image and general health related quality of life improvements is incredibly motivating. If you want to lose weight and think you are up for the challenge, then give me a call on and we can discuss a short or long term plan. Between the both of us I know we can do it. Enrol To Simones Six Week Weight Loss & Conditioning Program. There is quite a bit of truth in this article. So many weight conditions are psychological by nature. You seem to know what you are talking about Simone. Frankston is not that far from Langwarrin. I am going to drop in through the week. I am probably a victim of this as well. Problem is, being a male i am too ashamed to ask for help on this issue.